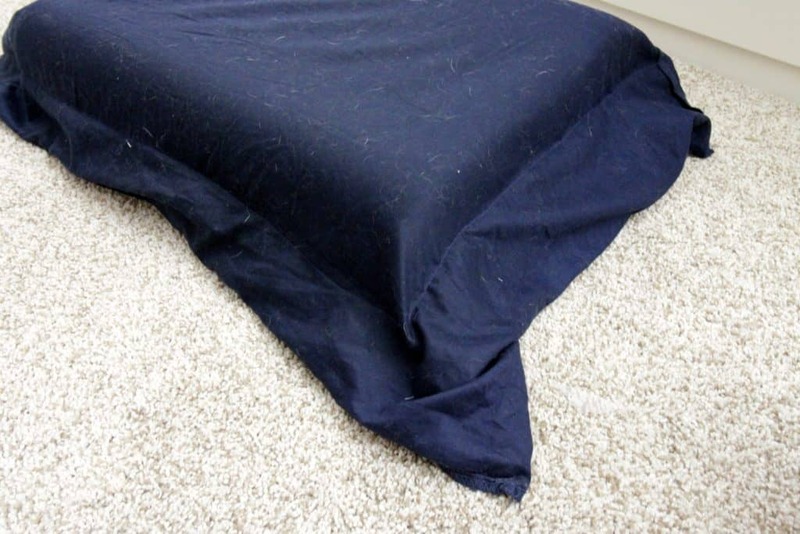 We are loving our new bedding, but have been having one problem with our pillowcases. Sean & I both use memory foam pillows, and they are slightly smaller and much less fluffy than standard pillows. So, they look saggy and sad in standard pillowcases. Luckily, I was able to hem and alter the standard pillow cases to give them a more crisp look. And here is what I did to alter them. 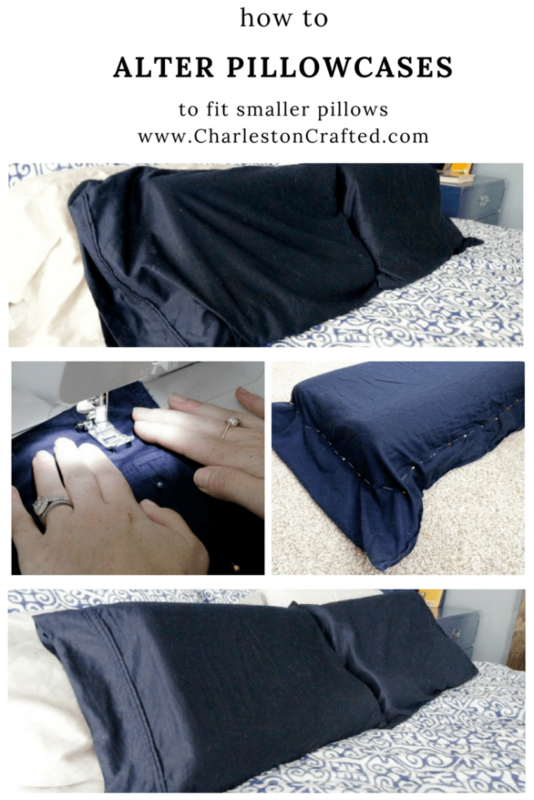 **Note: wash and dry your pillowcases at least once before attempting this project in case they shrink! ** First, turn the case inside out. 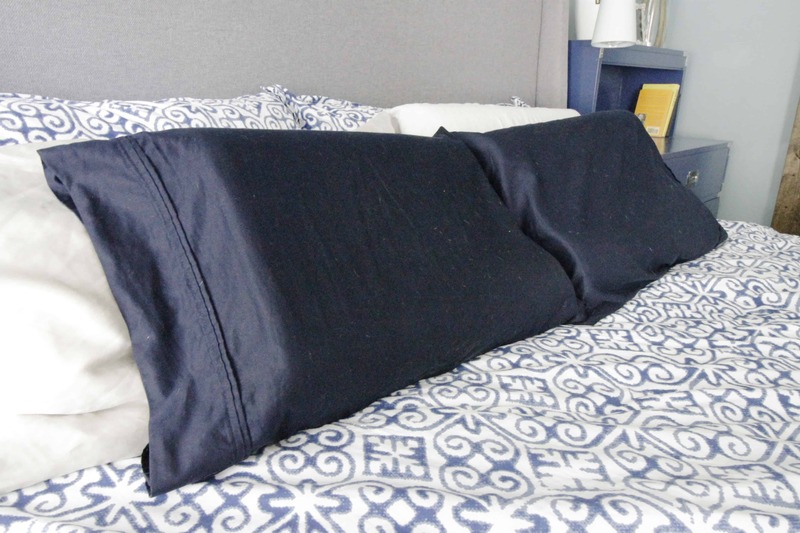 Insert your pillow and move it to the edge of the pillow so that you have 2 sides of excess fabric. 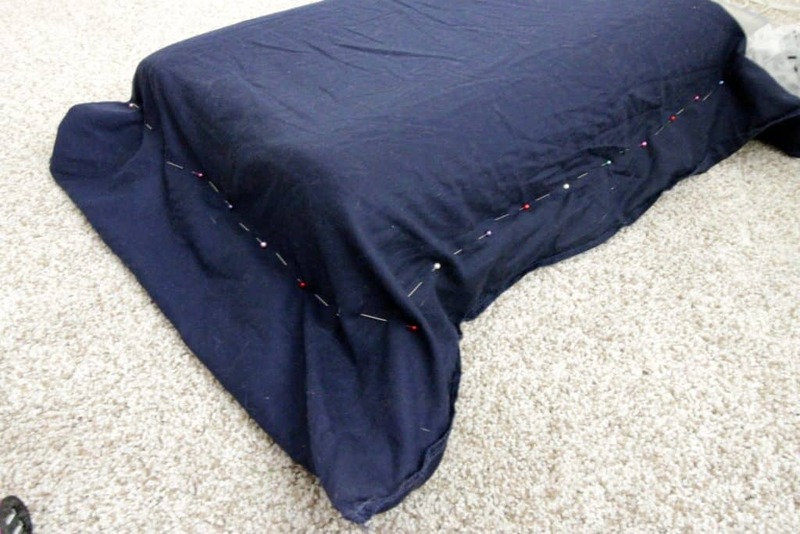 Simply use straight pins to pin the case in a more fitted design around the pillow. Remove the pillow from the case. 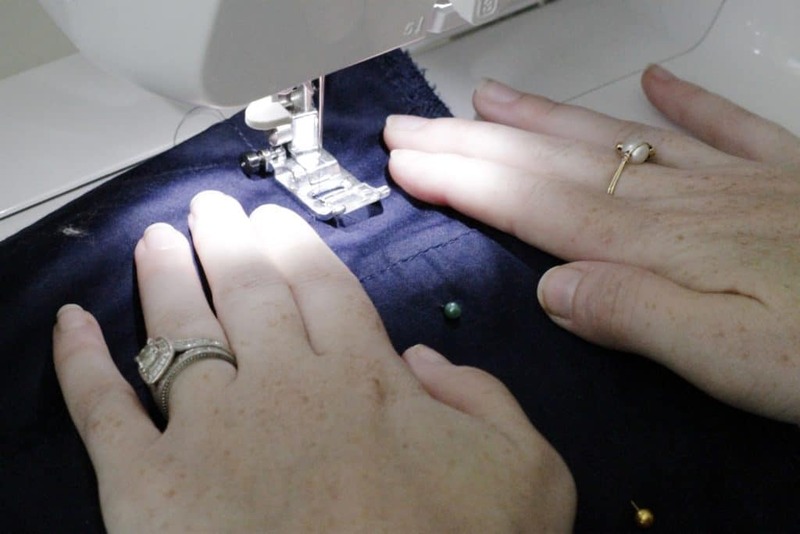 Sew a straight line just along your pinned lines. Sew a few stitches backwards at the end of your stitches to prevent unravelling. Insert your pillow into the sewn case to ensure that the fit is correct. 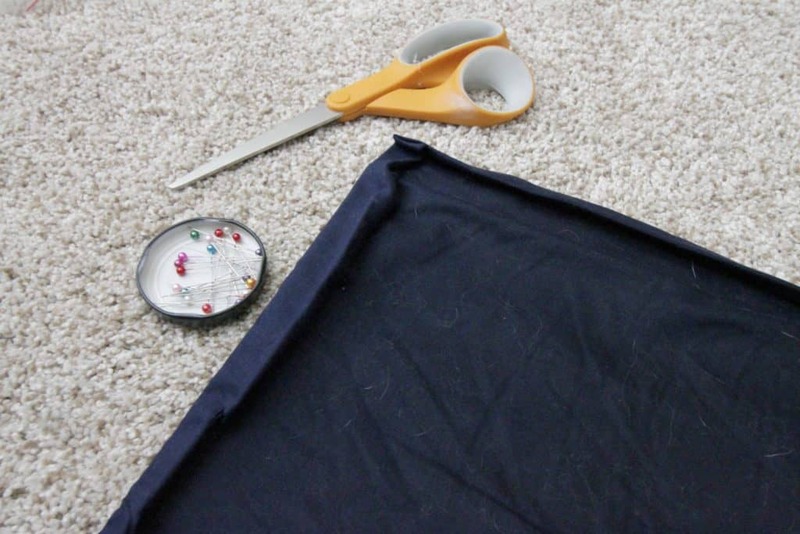 Assuming that it is, trim the excess fabric, leaving about one inch beyond your sewn line. Fold the cut edge over and then fold again for a crisp line. I used my iron and ironing board to keep the fold secure until I was able to sew it down with another straight line. Alternatively, you could pin it. Sew along the crease line on both edges. 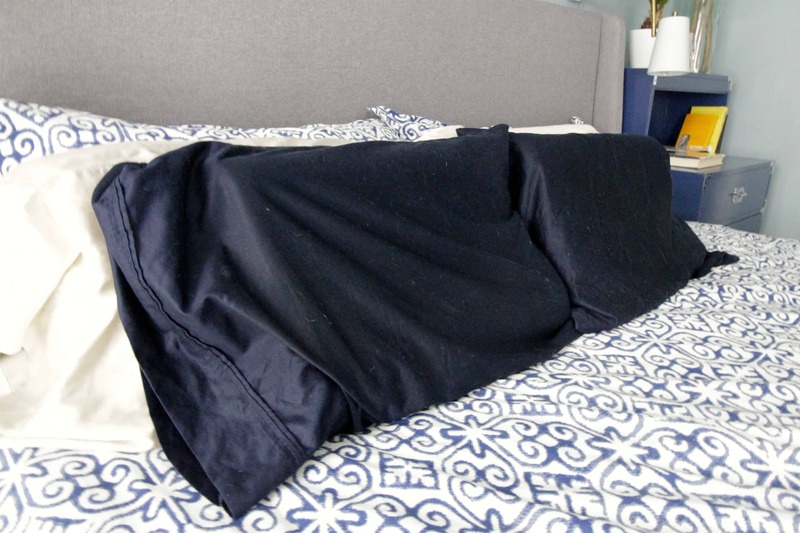 Turn the pillowcase right side out and insert your pillow. You should have a perfect fit. 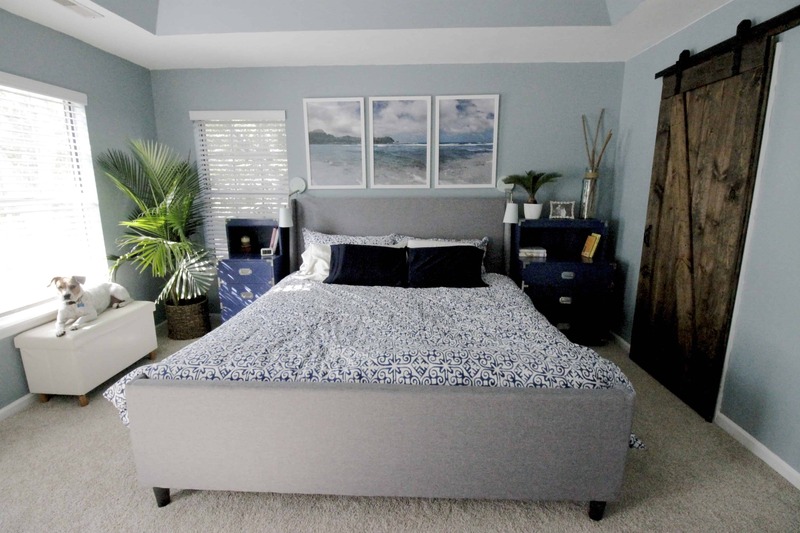 The final step in finalizing our bed was to give it all a good clean. Y’all know that we have two pets and believe me – they are both constantly shedding. With a dark grey cat and a white dog, there are really no colors that are “safe” for hiding hairs. So, we have to be really vigilant about cleaning. 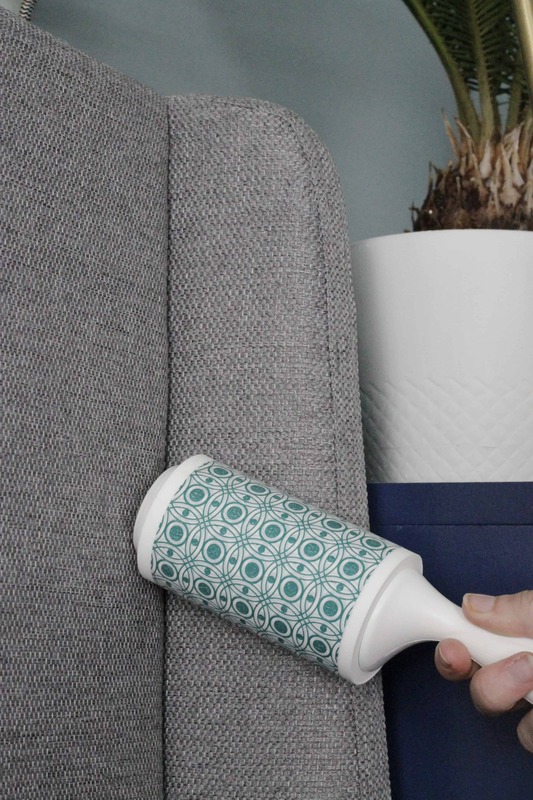 For soft surfaces, my go-to cleaning tool is a Scotch-Brite™ Lint Roller. They are great for keeping fabric items lint, hair & fuzz free. 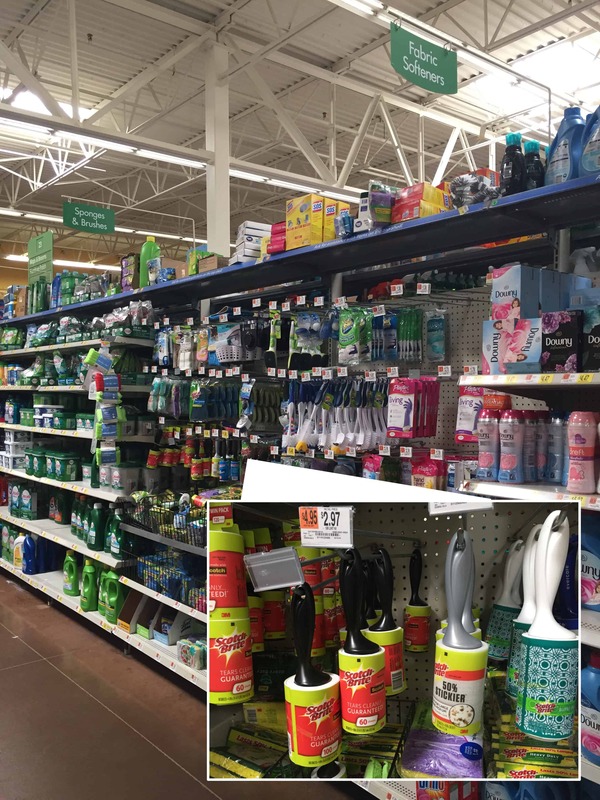 When I was recently shopping at Walmart for lint rollers, I was excited to find the Scotch-Brite™ Printed Lint Roller. It’s located in the laundry aisle and has a beautiful patterned design on every sheet with the same great performance that I have grown to expect from Scotch-Brite Lint Rollers. I also picked up a Scotch-Brite 50% Stickier Lint Roller, which is really great for large debris pick-up such as pet hair & crumbs because it is 50% more adhesive to grab more than just lint and hair. These lint rollers are very versatile and can be used for so many things. We used them on the headboard too because the cat always rubs her body against it and leaves hair. Scotch-Brite has some great tips for cleaning on their website too, especially if you have a unique type of mess. 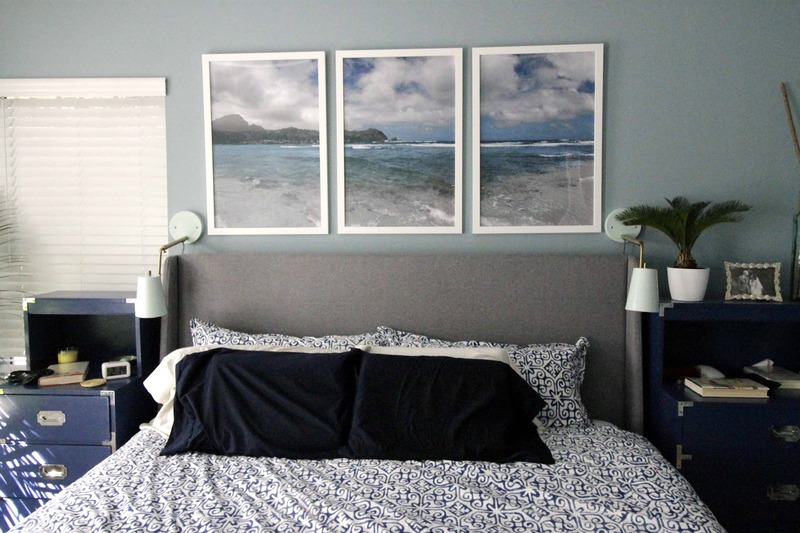 We are loving the new look of our bed and are glad that our newly altered pillows can be kept pet hair free. 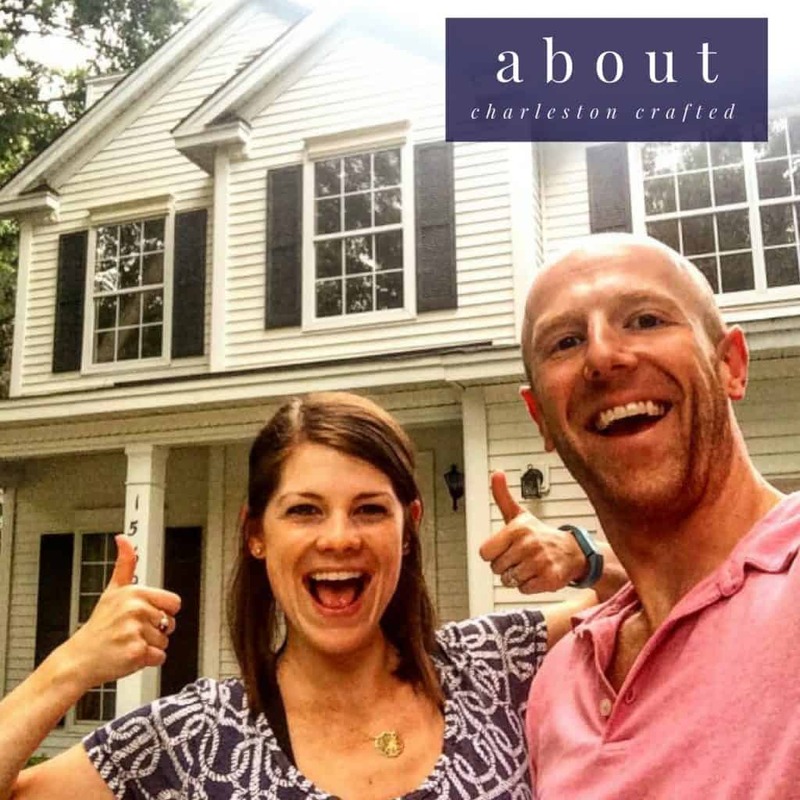 What projects are you up to lately?